We cannot wait to see the new movie Gainsbourg and with Jane Birkin as one of our style muses (have a peek here) only seemed right to focus on their daughter, Charlotte Gainsbourg. 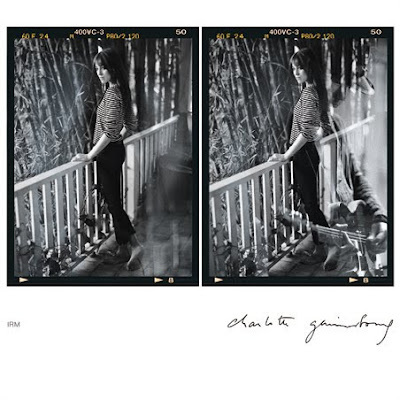 With so many actresses and models releasing albums now it seems that Charlotte Gainsbourg is still a well kept secret. Like most of her films her music is beautiful and intelligent, and she's now on to her third album. ing emergency brain surgery and sessions inside an MRI machine. She became inspired by the repetitive mechanical noise of the machine as can be seen in this lovely teaser video and with Beck producing, the result is an interesting album filled with great singles. We love having it on in the background when working, give it a try on spotify and we can guarantee you'll fall in love with it! Model, actress and singer with amazing style... if we didn't have such a crush on her we'd be very jealous! Loved Charlotte Gaisnbourg in 'the science of sleep', just checked out the album on spotify- really like it! Thanks for ur comment by the way, so sweet!